SE1 Bankside Gardening & Tree Surgery | RDA Cleaning & Maintenance Ltd.
You might think that it takes a whole bunch of professional skills and tools to make your garden amazing. However, from now on you can have it totally awesome without even moving from the couch. All you have to do is to use our top-notched and hassle-free gardening Bankside SE1. Tell us what you need for your patio and we will find the best solution! Last, but not least, consider our promotion: order another service with gardening and get a huge discount! 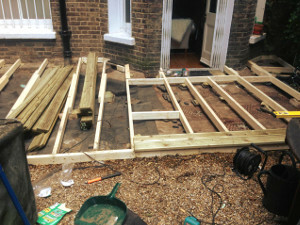 Why Entrust Our Garden Renovation & Maintenance SE1 Bankside Services? We are flexible and can suit anyone`s personal or professional schedule. We have flexible booking slots and we work during weekends and national holidays, too. With no extra charging. Same-day and emergency reservations for our comprehensive garden maintenance & renovation services in Bankside SE1 are always available for you. Keep in mind that we can provide the entire equipment. The gardeners are well-trained and prepared. They are gifted and responsible, they never leave a property with unfinished job! All our gardeners Bankside SE1 are well-trained, gifted and motivated for any cleaning, trimming or other gardening type of job: whether odd or classical. They never leave a place with unfinished job. If you want, RDA Cleaning & Maintenance Ltd. can offer you convenient gardening subscription for visitations on a regular basis: daily, weekly, fortnightly and monthly. You are allowed to require the same gardener for every visitation. All of the enthusiastic gardeners are insured and able to perform the ordinary chores: removing overgrown lawns, flowers, weeds, up to 180 l of green waste is removed for free, as well as grass cuttings, hedge clippings, getting rid of twigs, small branches, animal bedding and straw vegetation. Also, we apply specially tailored products like efficient weed killer. Don`t postpone the garden treatment. Make a reservation for gardening in Bankside SE1 right away! It is cheap and 100% efficient. Get a free quote right away. Call us on 020 3404 1646 today or book our services via the direct online booking form!